We gladly accept most health insurance. Individuals in need of our services who lack insurance coverage and are worried about the high costs charged by many other clinics need not worry. We have highly affordable rates allowing access to high-quality care for you and your whole family. 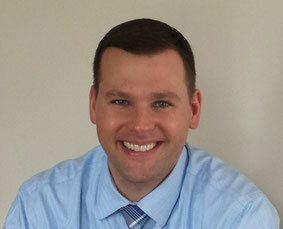 Dr. Aaron C. Bannister is a graduate of Palmer College of Chiropractic in Davenport, Iowa. He has an extensive background in massage therapy and bodywork. Additionally, he has post graduate certifications in Applied Kinesiology and Clinical Whole Food Nutrition. His adjusting style utilizes a combination of low force manual and instrument adjusting which improves results and maximizes patient comfort. "For too long, Americans have been held prisoner by the belief in a quick fix in the form of a pill--medications that only treat symptoms and mask the true cause of their afflictions. I believe that our loved ones deserve better. They deserve the chance to live a long, healthy life, free from a cycle of pain and pills that often do more harm than good. Chiropractic is a safe, natural way to unleash the full potential in everyone, from the tiniest baby to the eldest senior. Under chiropractic care, our loved ones have the opportunity not only to achieve the level of health they deserve, but to maintain it for life."